At least one news outlet has noticed that renewable energy is exceptionally vulnerable to hurricanes and other extreme weather events. How will renewables power the future, if climate change produces more extreme weather? 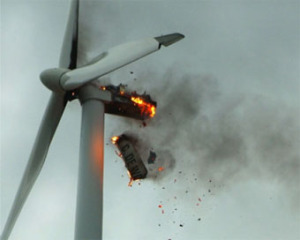 One of the worst things that can happen to a wind farm is too much wind. I mentioned in my previous post that the latest draft climate report, published in June, had seemingly left out a rather embarrassing table from the Executive Summary, one that had previously been written into the Third Draft, published last December. As the link to the Third Draft had disappeared from the NYT, I could not show it. However, Michael Bastasch, writing over at WUWT, did have the link, so we can now compare the relevant sections.